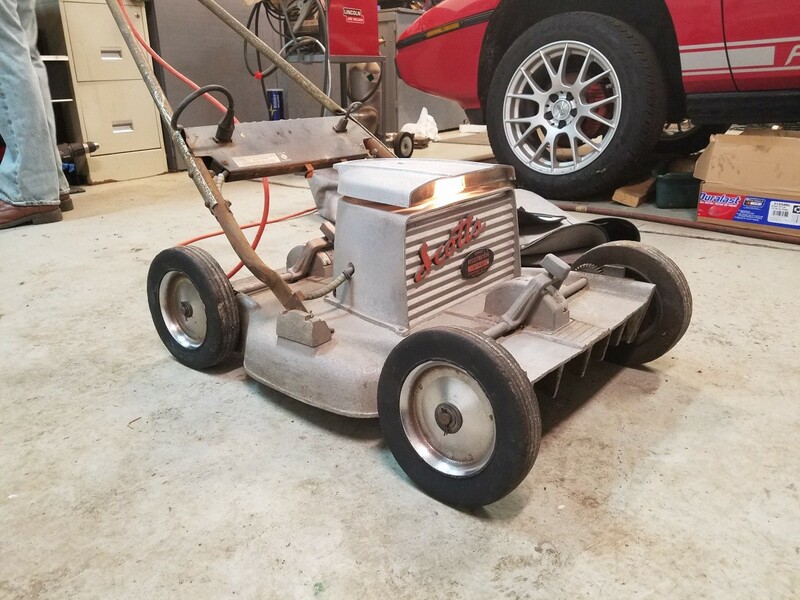 I came across this electric lawn mower and can't find a single bit of info or even another image of one on line. It was made by O M Scott and Sons. It has a registration number. It is made primarily of cast aluminum and a rack and pinion height adjustment. 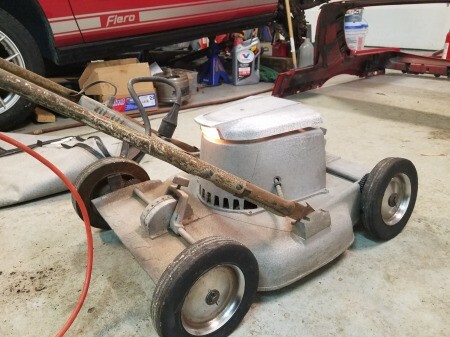 Old mowers are popular in some areas but it seems they are more popular in the UK. You can try to ask your question on this site (after you join) but I would suggest reading the FAQ's first. If you post on their site, you will need better pictures, particularly showing the front and each side. Also, you will need to post any numbers available and maybe the width of the cutting blade.